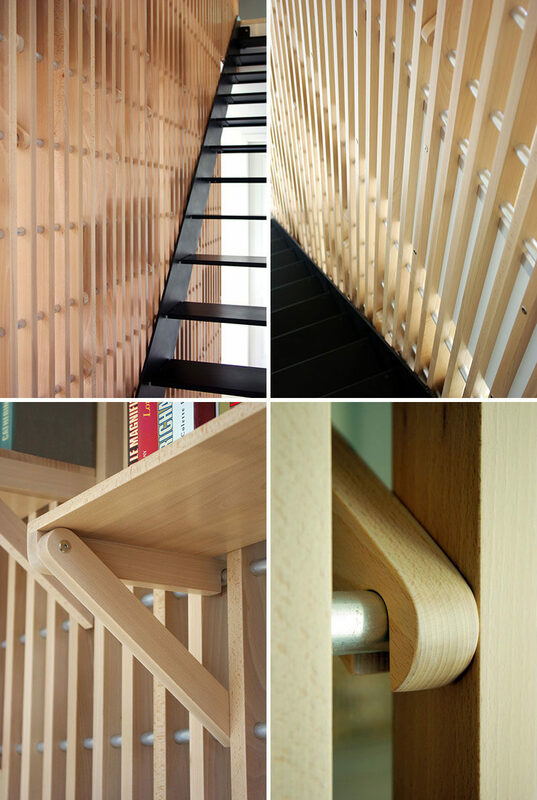 French designer Alexandre Pain created Rossignol, a custom designed shelf and railing system that can be used to store books and act as a guard rail for the staircase. 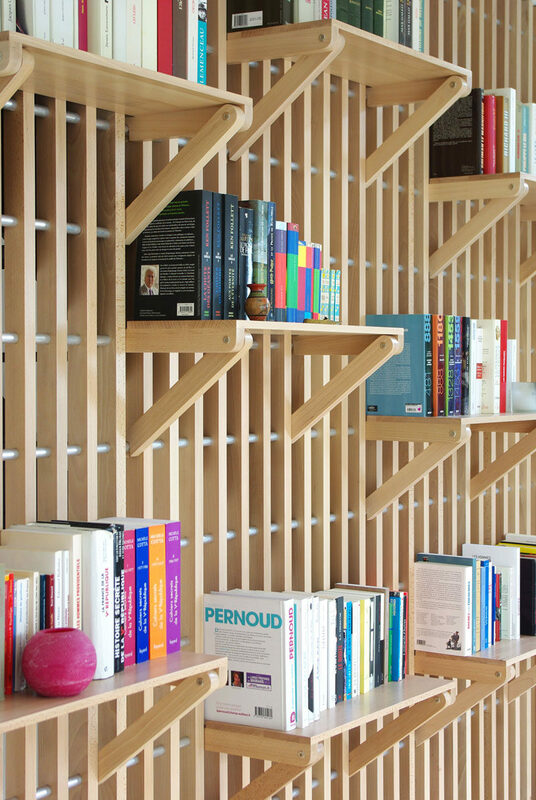 As the shelving unit is a safety railing, it connects the upper and lower levels of the home, creating a unified appearance. 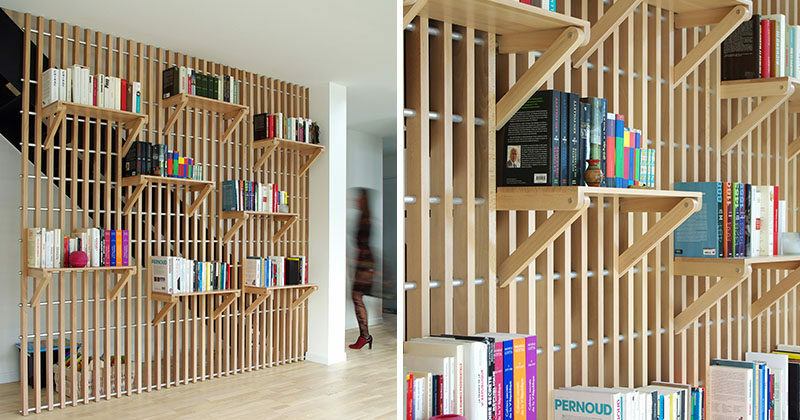 Each section of the beech wood strips connect to aluminum rods that make up the framework that the shelves attach to. Each shelf features four hooks that easily connect to the framework and allow the shelves to be moved and rearranged depending on the look that the home owner wants to achieve.